The northern border has been relatively quiet for the past six years, but during this time Hassan Nasrallah continued to closely monitor the developments in Israel. Over the past month I have spoken with a man who has dedicated a large portion of his adult life to studying Hezbollah and its leadership. According to him, Nasrallah learned to read Hebrew so he could understand the Israeli political system and the forces that drive Israeli society. 1) Rocket and missile salvos on the periphery do not impress the Israelis. Only a devastating strike on the Tel Aviv metropolitan area or on Tel Aviv itself, or an attack on a key infrastructure facility, will deal a serious blow to public morale in Israel and around the world and grant him the victory photos he craves. 2) The Israeli public is more sensitive to deaths among soldiers fighting on the front – "our children" – than it is to civilian casualties. So, from Nasrallah's perspective, heavy casualties among the fighting forces will damage Israel's internal resilience and undermine the public's support for the war. Nasrallah expects that Israel will move five divisions into Lebanon. 3) The ability to intercept and down Israel Air Force planes will provide Nasrallah with an umbrella that will allow him to maximize the damage to the Israeli home front and shore up support from his target audiences. 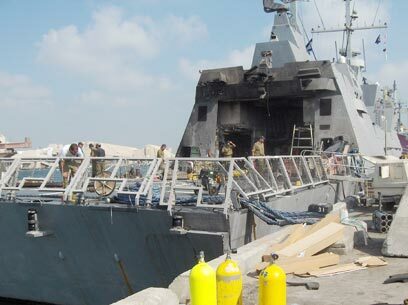 The sinking of an Israeli Navy ship will also be considered a great achievement for Hezbollah. Based on these and other insights, Nasrallah has designed the following strategy: At the onset of the next war Hezbollah will fire its heaviest and most accurate missiles and rockets (including M-600 missiles Hezbollah received from Syria, which are fitted with GPS-aided inertial navigation) on the Tel Aviv metropolitan area, as well as on infrastructure installations and perhaps on military targets. The rockets will be fired at the fastest pace possible. This opening strike will last a few hours, maybe more, until the Air Force creates room to operate in Lebanon's airspace in a way that will allow it hit every rocket launcher that was detected in advance or during the fighting itself. In addition to the attack on the Tel Avivian home front and infrastructure, Nasrallah plans to cause heavy casualties among Israeli soldiers who will enter Lebanon in order to stop the firing of short-range rockets from the southern part of the country. To carry this plan out, his men will use thousands of advanced anti-tank missiles, bombs and mortars that have been deployed in villages. The goal is to kill and injure hundreds of Israeli soldiers. These losses, along with the IDF's inability to stop the rocket and missile fire until the latter part of the war, will grant Nasrallah an unprecedented moral and physical victory –particularly if Hezbollah will manage to down Israeli planes or sink a ship. However, there is another aspect to this strategy: Nasrallah plans to order "intervention forces" - Hezbollah's special units – to launch killing raids on Israeli communities and seize control of roads located near or along the border. 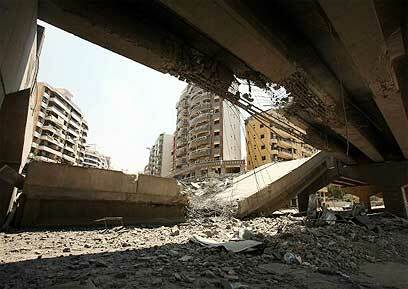 Nasrallah assumes these raids will cause delays in Israel's activity to stop the rocket fire from within Lebanon. Such raids will also hurt morale. Many fighters belonging to these special units have recently been sent to Syria to fight alongside Assad's forces. Some of them have already been killed or wounded in battles with rebels, but the units and their commanders gained invaluable combat experience. At what point will Hezbollah set this strategy in motion? Most likely when a certain element – be it the US, Israel or a joint force - attacks Iran's nuclear installations. Tehran may also order Hezbollah to attack Israel in order to divert attention from its efforts to obtain nuclear capabilities. The imminent collapse of the regime in Syria makes Hezbollah even more dependent on Iran, and it will not dare disobey an order from Tehran. Another possibility is that Hezbollah will launch rockets and missiles toward Israel in the event of a massive IDF attack in Lebanese territory. However, the probability that the Shiite group will get involved in a war with Israel over attacks on convoys transporting modern weapons or chemical weapons from Syria to Lebanon (such as the recent airstrike on a convoy transporting advanced anti-aircraft missiles, which foreign media outlets attributed to Israel), is not high. It's response to such attacks will most likely be limited. The IDF is ware of Nasrallah's strategy and is closely following Hezbollah's preparations on a daily basis. At the same time, the army is training incessantly to deal with the threat, if and when it is realized. "We will have to operate fast and aggressively from the get-go," says a very senior IDF official in the Northern Command. "We have to tell ourselves and to the world, so that no one will be surprised, that Lebanon will spit fire on us from the very beginning and with force that we have not witnessed to this point. We will have to neutralize the attack as quickly as possible with all the means at our disposal. "Wherever we can, we will take the non-combative Lebanese population into consideration, but we will not be able to employ selective methods everywhere. There will be a lot of destruction there, and many casualties. Our goal is to lift the threat without a war, but when you do go to war, you have to do it right," the senior IDF official said. But within the security establishment not everything is so clear and organized. There are disagreements between senior IDF officers – mainly from the Air Force – who argue that Hezbollah can be defeated with numerous pinpoint strikes, and those who are convinced that without a ground offensive it will not work. Most of the generals support a ground offensive, despite being aware that it will extend the duration of the fighting and will result in more casualties. "A ground offensive is necessary for achieving a decisive victory," said a security official who deals with the Lebanese threat. When he says "decisive victory," he means physical results on the ground – hundreds of Hezbollah fighters dead, destroyed operational infrastructure installations (including those set up by Hezbollah in private homes), seizing control of areas from which rockets are launched, etc. It is safe to assume that the army is capable of achieving these results, first of all because it drew the necessary lessons from the failures of the ground offensive in the Second Lebanon War and, among other things, equipped Merkava Mk 4 tanks with 'Windbreaker' missile defense systems. In addition, over the past two years the army has developed systems for gathering intelligence in real time, and today it also has mobile computerized command systems that can be used to send intelligence to the fighting forces regarding the targets they are heading towards. The problem is that apparently not all field commanders (company, battalion and brigade commanders) have been trained in the use of these revolutionary systems. The IDF should do something about this, and fast. There are additional problems the army is aware of and is working to solve, such as the fact that heavy rocket and missile fire will target airports, reserve units' emergency storage facilities, roads that lead to the front and gathering points of reserve soldiers near the border. 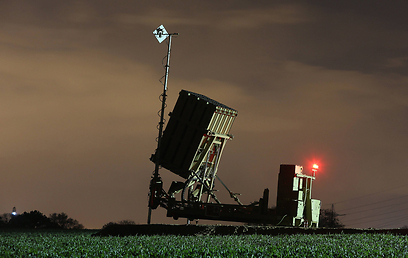 The Iron Dome missile defense system cannot provide sufficient protection from Hezbollah's 65,000 rockets and missiles. "The Israeli public must be informed now that the amount of rockets and missiles at Hezbollah's disposal will have devastating effects," a security official said. "War is not a reality show. There will be casualties and failures on our end. But we will completely neutralize Hezbollah, and it will remain deterred for many years to come." See all talkbacks "Hezbollah's strategy: Rockets on Tel Aviv, raids on Galilee"